PraxSoft’s unique combination of hardware and software, accesses, stores and displays environmental, meteorological, automatic identification, location and status information. Data is collected from sensor devices several times per second, processed, and made available for analysis. An interactive user interface displays both real-time and archived data. PraxSoft’s technology incorporates comprehensive alerting, notification, and reporting capabilities along with system health and well-being through SiteWatchä. The integration of the PraxSoft technology with GIS-mapping and CAD floor plans brings true, real-time visualization for numerous applications. This rich tool also allows playback or After Action Review (AAR). 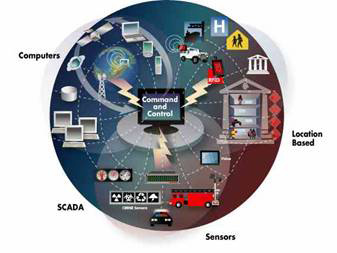 PraxSoft improves situational awareness and enterprise visibility with integrated sensor inputs. The AssetActive™ system addresses needs in both commercial and government markets for real-time asset management and accountability. It incorporates state of the art RFID, sensors and wireless communications facilitating asset visibility, location and status. 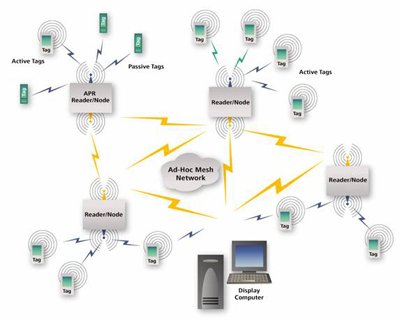 AssetActive nodes identify and track assets, provide analog and digital I/O, support both long and short-range radio transmission and allow ad-hoc communications between nodes and other remote devices. This architecture augments the current legacy sensor reporting networks and allows use of the system as a backbone for various asset management and monitoring applications. Solutions include personnel and vehicle tracking, equipment health/well-being, asset condition and status to enable predictive maintenance, full life cycle management and work flow analysis.